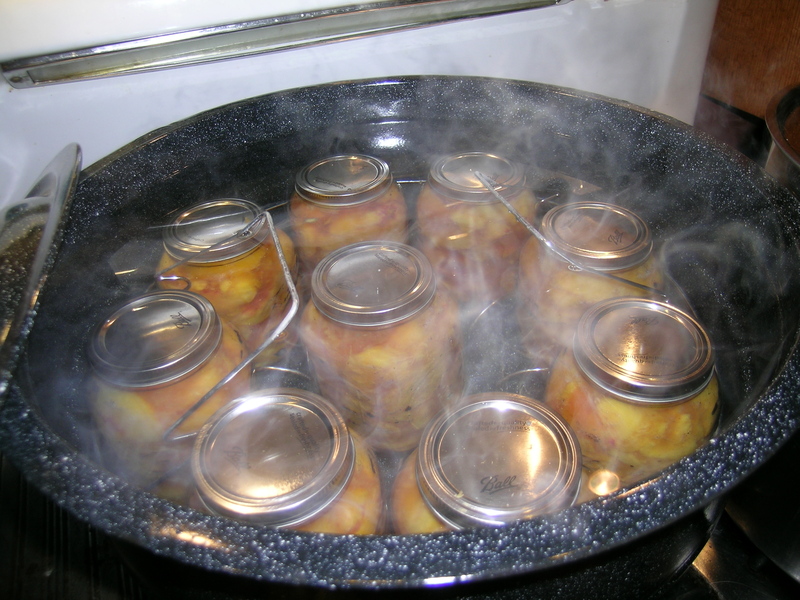 Theresa and I, second canning day, and our most successful. 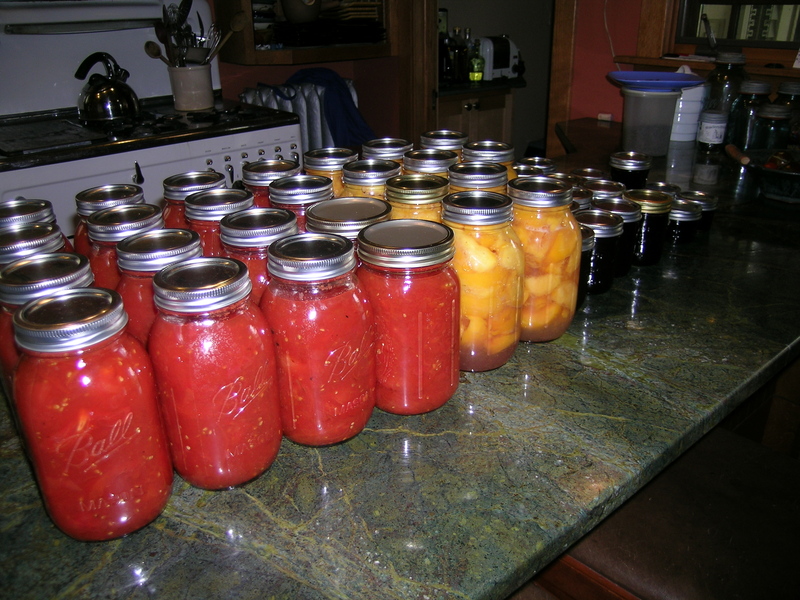 16 quarts tomatoes, 10 quarts peaches, 14 – 1 cup jars and 12 – 1/2 cup jars of grape jelly. Grapes from Andrews grape vines. Beautiful dark purple grapes, remind me of the grapes that my mother used to pick and make grape juice with. 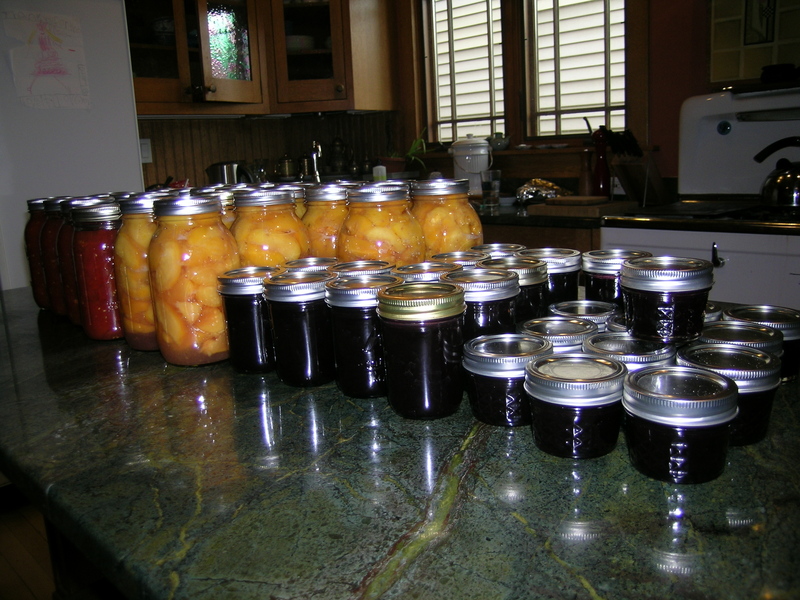 Wow very cool I think I need to learn some canning maybe leave a jar of grape jelly on the porch for me lol. 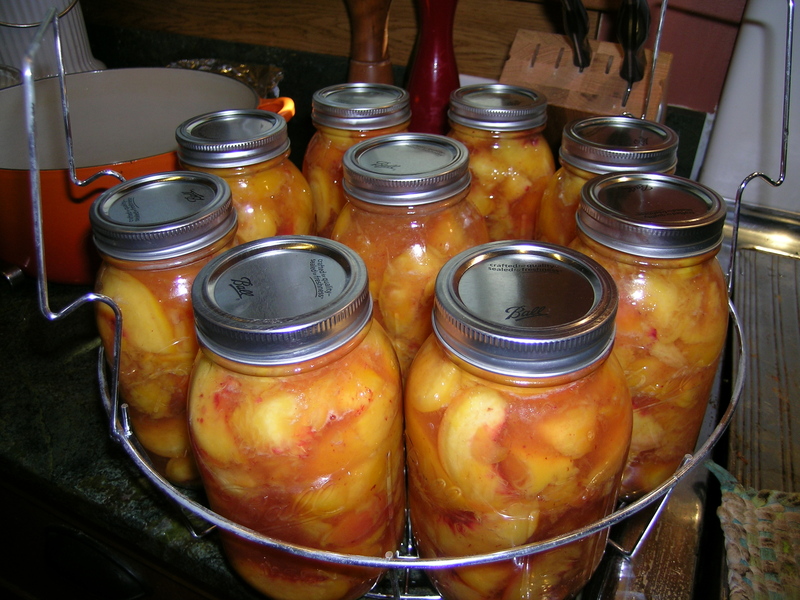 Haha – your kitchen counter looks just like mine, except it’s apple sauce instead of peaches and jalapeno jelly instead of grape! Just finished some bread and butter pickles, and it is applesauce next here also!